NZFG - Who was Moshe Feldenkrais? 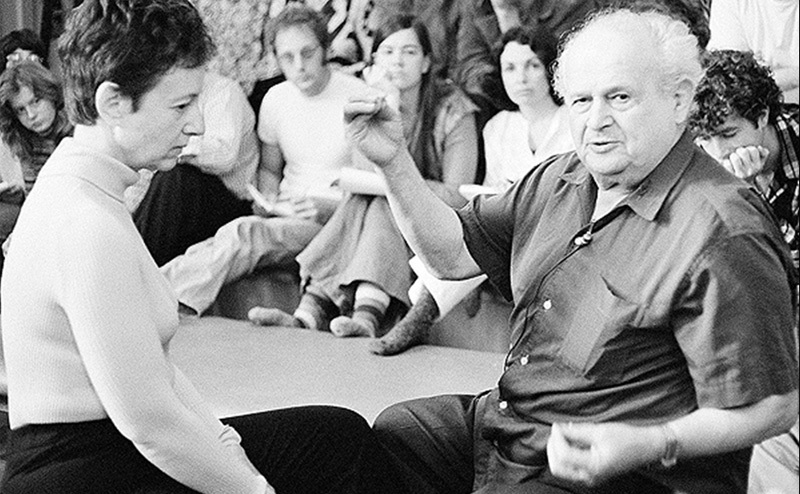 Dr Moshe Feldenkrais was a physicist and engineer whose interest in improving human development through movement led him to create the Feldenkrais Method over a period of forty years. He was a keen athlete and a pioneer of martial arts in the West. As a young sportsman Moshe sustained a serious knee injury which led him to investigate a formidable range of scientific fields in the hope of finding his own alternative to permanent disability. He studied anatomy, physiology, neurology, biomechanics, cybernetics, child development and psychology, as well as attaining a high degree of expertise in Judo. It was, however, in the relationship between bodily movement and our ways of thinking, feeling and learning that Feldenkrais achieved his greatest success. During the process of healing his own knee, he realised the vital importance of working with the whole body and indeed the whole self in order to achieve lasting change. His insights contributed to the development of the new field of somatic education, and continue to influence disciplines such as physical medicine, gerontology, the arts, education and psychology. Moshe was truly a man of the world. He was born in in 1904 in a Jewish settlement in what is now the Ukraine, moved to Palestine when he was 12, read for his doctorate in Paris, worked for the allied war effort in the UK during World War II, lived in Israel after the war and taught throughout Europe and the United States. He died in 1984.